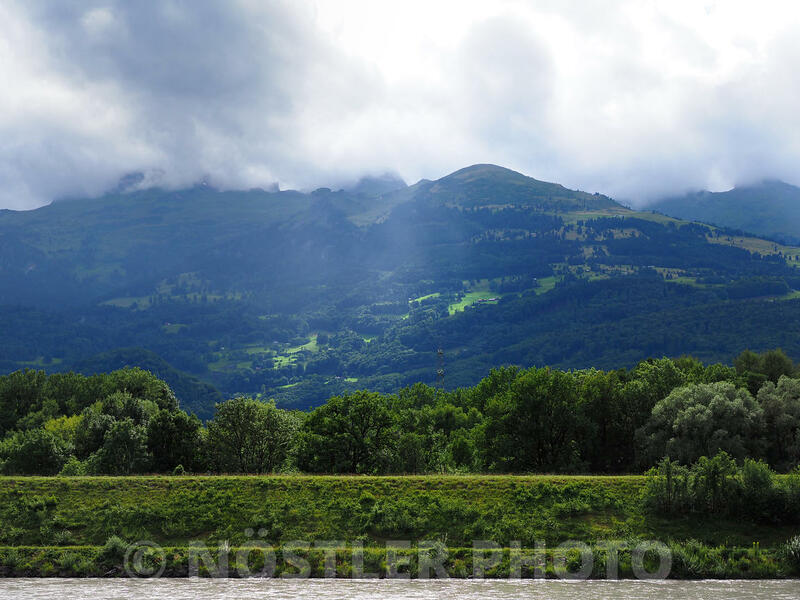 The Alpine Rhine forms the eastern boundary of the Swiss cantons of Grisons and St. Gallen to Austria and Liechtenstein. 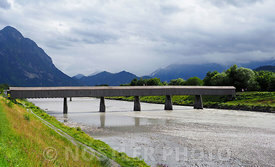 The last of its kind, the wooden Old Rhine Bridge connects the Vaduz and Sevelen municipalities. The 135 meters of unpainted construction was completed in 1901. Entrance is only permitted to pedestrians and cyclists, offering a path into Switzerland from Liechtenstein over squeaky floorboards. Approximately halfway through, there is a sign indicating the crossing of borders, as the Rhine River forms the frontier between Switzerland and Liechtenstein. Today, the bridge is rustic in appearance, adding to this unique border-crossing experience.